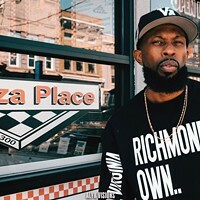 Jack of All Genres | Music | Style Weekly - Richmond, VA local news, arts, and events. Musically schizophrenic Matt White and his many projects. More ear-catching than the sheer immensity of White's endeavors is the type of music, or rather the lack of a formal type, that's being played. Big-band horns play funk and gospel-inspired tunes with a nationally recognized clarinetist. 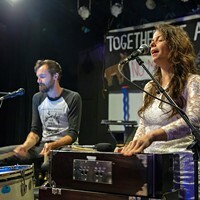 The world's first "soul orchestra" is marked by the sounds of an accordion and mandolin, and one 12-piece group, which incorporates an array of horns and strings in addition to a turntable, has no written notes at all and simply relies on a conductor to make the large-scale improv flow. Besides White himself, what these groups have in common is that they all aim, each in its own way, to push Richmond's musical envelope. Members of other area bands, including Modern Groove Syndicate, the DJ Williams Projekt and Bio Ritmo, take a break from their normal roster of gigs to participate in White's aural experiment. "I don't know of any other place that has anything like this," White says. " This is allowing Richmond to separate itself from other cities in developing a legitimate and adventurous artistic community." Backed by the Patchwork Collective, White's groups find their eager audiences in art galleries that promote innovative, nontraditional works. The ultimate goal for both Patchwork and its acoustic boy wonder is to build this city up as a bastion of culture, creativity and cool. In order to do that, players from all over the musical spectrum are brought together to create something bigger than themselves. "There are a lot of sweet things coming out of the jazz community and the rock community and the hip-hop community, but nobody knew about each other," White says. "Hopefully this will help create an economy for musicians." For those of us relegated to the listening end, White's groups are each radically unique, surprisingly cohesive and anything but the tired rags you've heard a million times before. Two of White's projects will be playing March 25: Gallery5 hosts both Fight the Big Bull, a 10-piece big-band super-ensemble influenced by jazz, soul, gospel, funk, Latin and hip-hop, and The Great White Jenkins, a folk-rock-meets-horns group with a healthy dose of electric guitar and humor added to the mix. On the slightly more conventional side (and slightly is the operative word here), White also founded and plays guitar with the Patchworkestra, a 30-piece group dedicated to playing original works by local composers. Led by VCU professor and internationally acclaimed composer Doug Richards, the group will perform April 7 at Gallery5. Finally, May 5 (location to be announced) brings the second performance of another White project, The Black Orchestra, an all-improv, all-the-time motley crew named after a 1944 band of Nazi generals who plotted to assassinate Hitler. 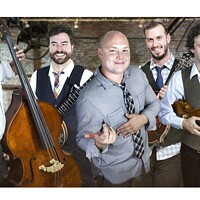 Fight the Big Bull performs March 15 at 7:30 p.m. at ADA Gallery, 228 W. Broad St., $7. Call 644-0100 or go to www.adagallery.com. Fight the Big Bull and The Great White Jenkins play March 25, and Patchworkestra plays April 7, at Gallery5, 200 W. Marshall St. Call 644-0005 or go to www.gallery5arts.com.